London Zoo says one of its female Sumatran tigers has been killed by a potential mate while the two animals were being introduced. Before zookeepers opened the door separating the animals, Asim and Melati had spent 10 days growing habituated to each other through the cage. On Friday, they put the two tigers into the same enclosure, and Asim killed Melati as shocked handlers tried in vain to intervene. Keepers had hoped the big cats would breed but have been left devastated after Asim, the male they brought in, attacked Melati. It was supposed to be a "positive" first date, planned for several days, between a rare Sumatran tiger and a potential mate at the London Zoo. The enclosures of the two tigers were next to each other so that they could smell and react to them. "Zookeepers were eventually able to secure Asim in a separate paddock so that they could safely get to Melati where our vets confirmed that she had sadly died". Speaking about the future of the programme, he said the zoo hoped to have another breeding pair of tigers and would use the death to "evolve" and "learn" for future introductions. 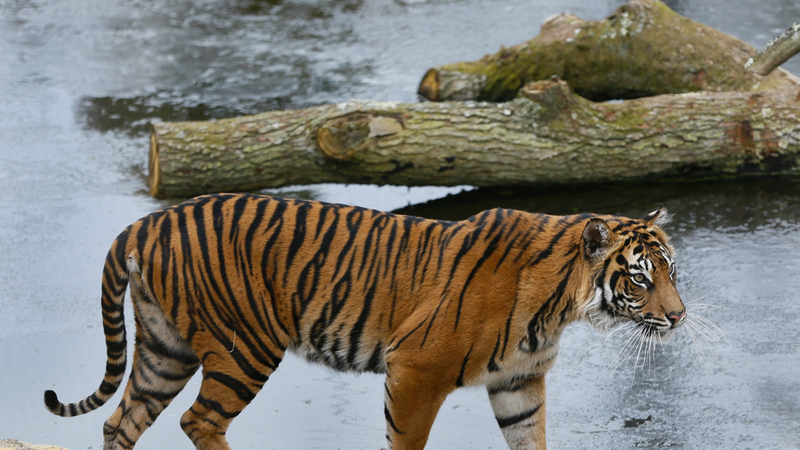 Asim's arrival at the zoo last week had been trumpeted in a press release showing him on the prowl and describing him as a "strapping Sumatran tiger". When Asim, whose name means "Protector" in Arabic, arrived at ZSL, he was heralded by the zoo as "a handsome, confident cat who is known for being very affectionate with the ladies in his life", by the zoo. Ten-year-old Melati had already had three litters with a previous mate. The organisation Tigers in Crisis says there are only estimated to be about 500 to 600 Sumatran tigers in the wild. Additionally, one slice of endgame content is included in the beta: an Invaded mission will unlock on February 9 at 8pm AEST. We'll also be granted access to the three new Dark Zones and the Skirmish Conflict organized PvP mode.